Today a new game is on the Play Store: Operate Now: Hospital Season 2 from Spilgames. 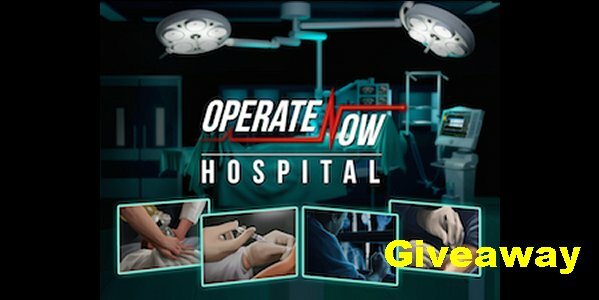 For those who are unfamiliar, Operate Now is a drama inspired medical journey, where you experience being a surgeon, building a medical team, and managing a hospital. Your objective is to assemble a highly skilled medical team to perform operations on patients and to put your medical facility at the number one spot in the world. Scrubs and gloves at the ready! So on to season 2….Chief of Surgery Noah Stone is becoming irritable and aloof. He’s being threatened with blackmail, but will he succumb? Nurse Amy has spiraled into depression after her accident and has started stealing hospital drugs. Is there anyone who can help her? Paramedic James finds himself fighting with surgeon Sirona. Will the passion in those fights turn into something else altogether? Sirona has her own issues. One struggle dies with her alcoholic dad but then she discovers she has a brother. Will he be as messed up as her father? 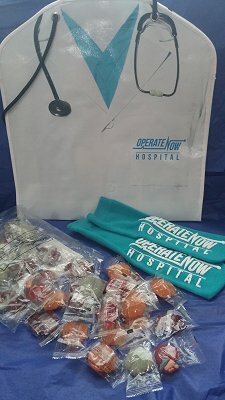 To celebrate the arrival of this new game, Spilgame has given me 1 prize pack consisting of 1 doctor tote bag, 1 pair of hospital socks, and 1 pack of organ gummy candies to give away. To enter, simply fill out the Rafflecopter form below.